Happiest of birthdays to you my sweet! Thirty whole years of total awesomeness. That deserves a high five (or six, wink). 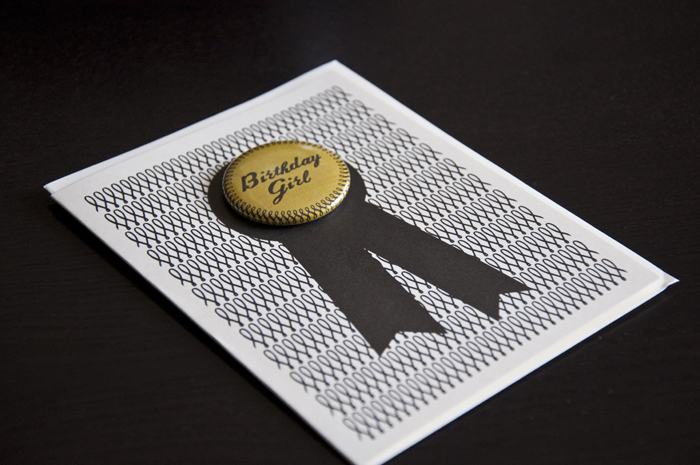 When I saw this button card I just had to have it–you’re the kind of girl who can totally rock ‘flare’! Here’s hoping lots of strangers sing to you on the train! Ha! Looking forward to celebrating with something frosted in cream cheese icing. Okay, maybe just the icing. And soon. Wishing you nothing but blue skies and rainbows, today and always. May your 30th year be full of love, good health and lots of laughs. I hope all your birthday wishes come true and that your dreams become realties. I am so glad (and damned lucky) to know you!